It’s no big secret that having a wide charging infrastructure will be the key towards the successful adoption of fully battery electric vehicles. As time goes on, Tesla’s supercharging network is proving itself more and more in how far reaching it is. A couple of months ago, we reported on Tesla reaching its 10,000th worldwide supercharger and how there are many more stations in the construction/permit phases ready to go. 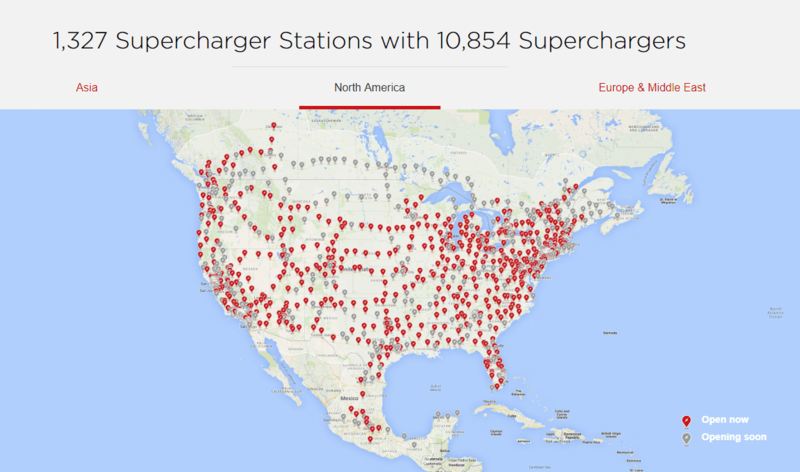 As of today, Tesla has 1,327 Supercharger stations with 10,854 superchargers worldwide. As of now, the importance of the supercharger network cannot be overstated enough in its importance to the success of Tesla and electric cars as a whole. 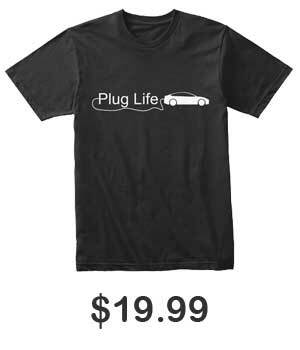 We all know that one of the biggest turn-offs, if not the biggest turn-off, towards battery cars is range anxiety. With so many charging stations spread out to cover “99%” of the US population, range anxiety should become less and less of a worry as times goes. Its perfectly possible for someone to take their car cross country. For instance, here is an example of a trip from Miami to Seattle, two opposite corners of the country, being able to be done in Model S 75D. Now admittedly, this isn’t perfect. There are 32 stops you would have to make that vary in time from 25 to 40 minutes each. But if you have a 100D or the long range Model 3, you would be able to reduce the stops due to the extra 60-80 miles of range. The next step, aside from continuing to expand the network to account for growing EV sales, will be to improve charging times. Electrify America in the US and IONITY in Europe will start pumping out ultra-fast chargers capable of 350kW charging that will halve these charging times and it will be important for Tesla to keep up. It’s important to note that this entire network is free of charge for Tesla owners, as long as they bought their vehicle using a referral code. Just as a side note, Tesla has often said that they would end the program prior, but they might be for real this time. If that’s the case you have until September 16th to place your order through a referral to score that free supercharging. Good thing is that Tesla will use the revenue collected through supercharging to build new stations and hopefully upgrade the current ones to provide more power. Is Current Electric Car Range Actually Important?